1. I want to join your "Active Galapagos" tour on the Samba. Join other like-minded travelers on our custom designed, highly acclaimed trip of a lifetime (or if you're short on time, ask for the "cruise only" option). 2. I want full comfort and I’m not prepared to cut any corners. The most luxurious ships and hotels. Count on us to propose an ideal, comfort+ Galapagos adventure. 3. 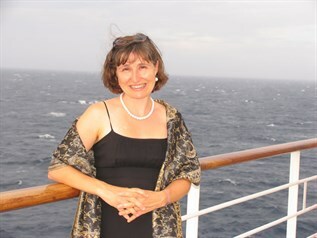 I need help finding a cruise that best suits my interests and needs. If you can't join us on our own Active cruise, we can help you find a wonderful alternative any time of year. 4. I'm planning a family trip of a lifetime. 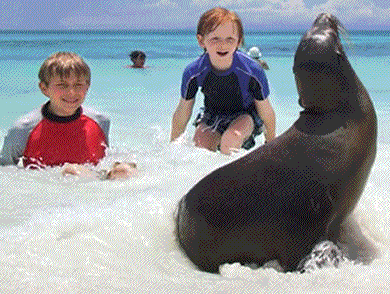 We've taken our family on Galapagos cruises - we can help you do the same. 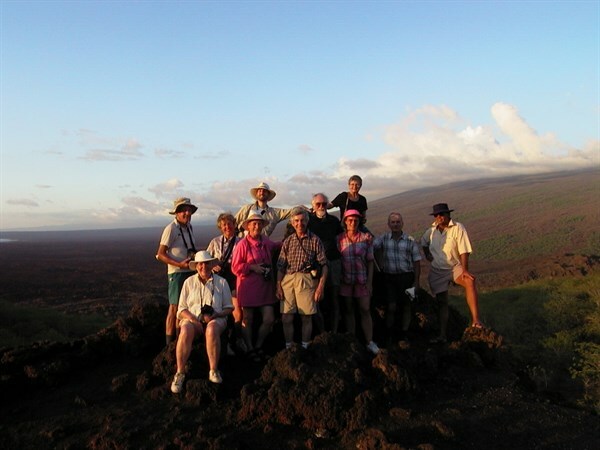 We are a small and highly experienced Galapagos tour operator. 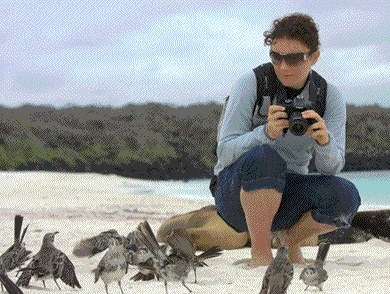 Heather Blenkiron (pictured) and Marc Patry moved to Galapagos after getting married, working for the Charles Darwin Research Station / Galapagos National Park Service from 1998-2002. While there, Heather was asked by the Canadian ambassador to act as the embassy representative in the islands. After his time in Galapagos, Marc served as the United Nations point man for Galapagos conservation (2003-2014), joining Heather at CNH Tours in 2015. Kelsey Bradley is our wonderful new addition. She worked and volunteered in Galapagos from 2010-18; for the last four years working at the Darwin Station as a fundraising manager, forging great ties with the tourism sector there. We all maintain very close relationships with the Galapagos community – few if any Galapagos agencies know the islands as intimately as we do. 1. Galapagos was our home - we know it like few others. Between the three of us, we lived and worked in the islands for 16 years. We retain our hands on the pulse of Galapagos through our long-term connections with our friends and colleagues who remain in the islands. Today, several of them are senior naturalist guides, or occupy senior positions in local and national governments, at the Park and at the Darwin Station. We know many ship owners or their commercial representatives on a first name basis. 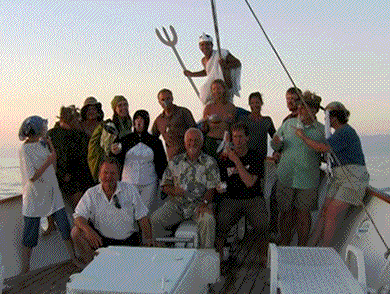 Few travel agencies have access to such a diversity of personal and professional contacts in Galapagos. 2. We are not distracted by other destinations. We constantly seek to update and improve our knowledge on the latest developments in the islands so that it is put to use in ensuring your visit is the best it can be. See our very own "news" section for the latest developments, and how these may relate to your visit. 3. 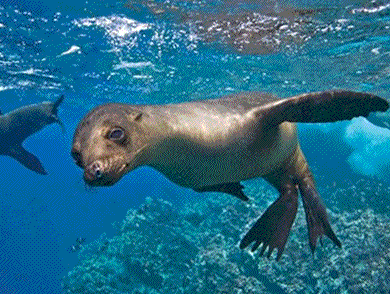 We are recognized experts in Galapagos tourism. 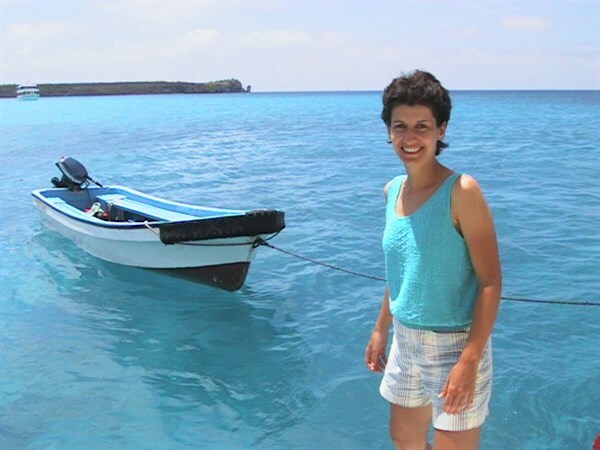 After having posted hundreds of helpful recommendations on TripAdvisor Galapagos forum, this very popular travel information website invited Heather to become its first Galapagos "Galapagos Destination Expert" in 2009. Heather continues to provide advice there to people considering a Galapagos trip. In 2012, CNH Tours made it on Mastercard World Elite Concierge's radar screen - recommending us to their clients as a highly reputable, quality and service oriented Galapagos expert. 4. Personalized service is our specialty. Our unofficial company saying is: "We may not be big, but we're small." We're very proud of the fact that when you contact CNH Tours, you'll be talking to people who have lived in the islands for several years. An important part of our reward in this business is our own personal satisfaction in doing all we can to help you see and feel Galapagos like we did - and that motivates us to go the extra mile. 5. We give back to the community. 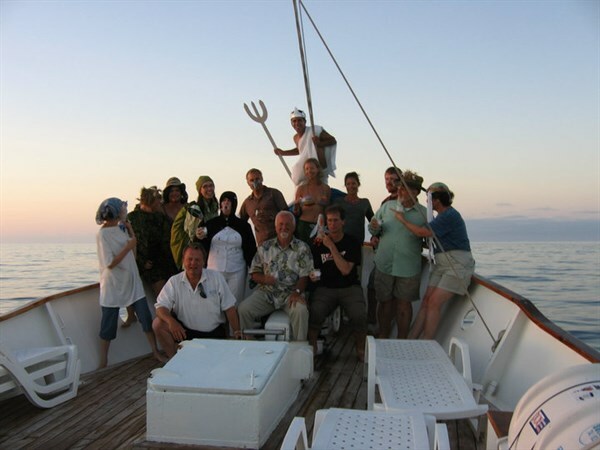 Since 2000, CNH Tours has been organizing non-profit fund-raising cruises in support of worthy initiatives. Past cruises have raised funds for United World Colleges (3 cruises), underprivileged urban youth (2 cruises), and we helped raise funds for the Galapagos Public Library. More recently we offered a cruise for two as part of the Boston National Public Radio annual fundraising event and another for the Montana Natural History Center. If you'd like to use a Galapagos cruise as a fundraiser for a special cause, please get in touch with us to explore possibilities. CNH Tour is a Full Member of the International Galapagos Tour Operators Association (IGTOA) a non-profit association of travel companies , conservation organizations and other groups that seek a lasting protection of the islands. We are also members of their board of directors. 6. We are a Member of the Charles Darwin Foundation's Governing Council. In 2015, Marc Patry, co-owner of CNH Tours, was elected as a member of the Charles Darwin Foundation's governing council. His long history in Galapagos, first as a staff member of the Darwin Station, then as a United Nations representative overseeing the conservation status of the Galapagos World Heritage Sites puts him in a good position to provide guidance to the Foundation. In turn, this helps us keep close tabs on conservation issues in the islands. 7. You will be protected by the Ontario Travel Industry Compensation Fund. As a registered travel agency under the Travel Industry Council of Ontario (TICO) anyone booking through CNH Tours benefits from the TICO Compensation Fund. The Fund reimburses travelers when travel services are not provided due to our bankruptcy (we certainly don't expect that to happen) or that of an end supplier airline or cruise line - where a reimbursement has not otherwise been provided. Our registrant number is 50022618. 8. We offer competitive prices. There is a tendency to think that buying directly from the ship owners will result in cost savings. In fact, whether one buys directly from the owner, or from us, the price is the same. CNH Tours earns its living from the commissions the owners offer us by selling spaces on their ships. When owners sell cruises directly, they simply keep the commissions themselves. The advantage of using an agent lies in the agent's capacity to consider your needs first, before suggesting a particular ship. Ship owners are understandably focused on selling only their ships. I want to thank you so much for the amazing trip to the Galapagos. It was everything you promised. Truly an amazing experience that was special special in so many ways. I would give it a 9.9 out of 10. The boat and crew and of course the tour sightseeing in the islands was beyond all we imagined.